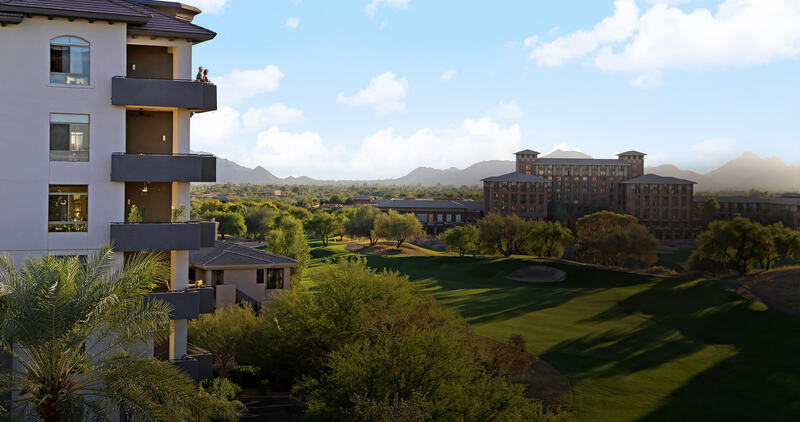 The Landmark at Kierland ranks among top-rated condos in Scottsdale for a reason. We’re more than just a collection of residences. We’re a neighborhood. 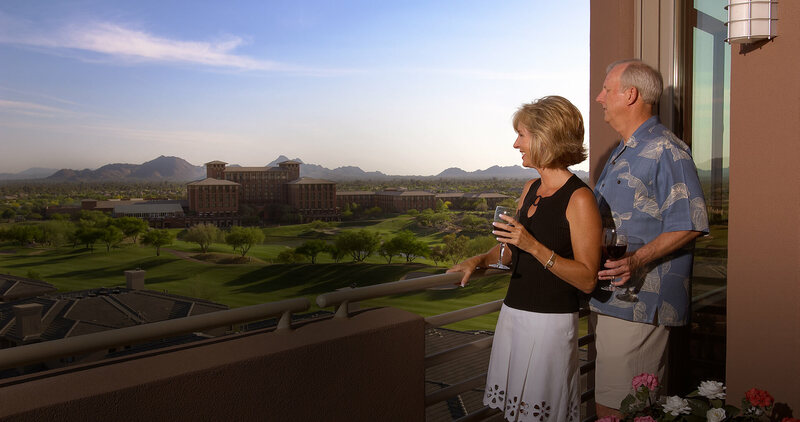 A pioneer in the development of Scottsdale luxury condos, we combine a commitment to “quality of place” with a friendly balance of social interaction and perfect privacy. I Never Thought I’d Buy a Condo. Sometimes, life’s unexpected turns put you right where you are meant to be. Residents who never thought they’d live in a condo are finding that life is better on both sides of the front door here at The Landmark, one of the top luxury condos in Scottsdale. This is a place where you can watch from your patio as a Southwestern sunset ignites the sky in orange, pink, and blue. The jagged peaks of the Valley’s stunning mountain ranges create the perfect backdrop for a quiet evening with the people you care about. When you’re feeling social, some of the best fine dining and shopping in Scottsdale is just a short walk away at Scottsdale Quarter and Kierland Commons. 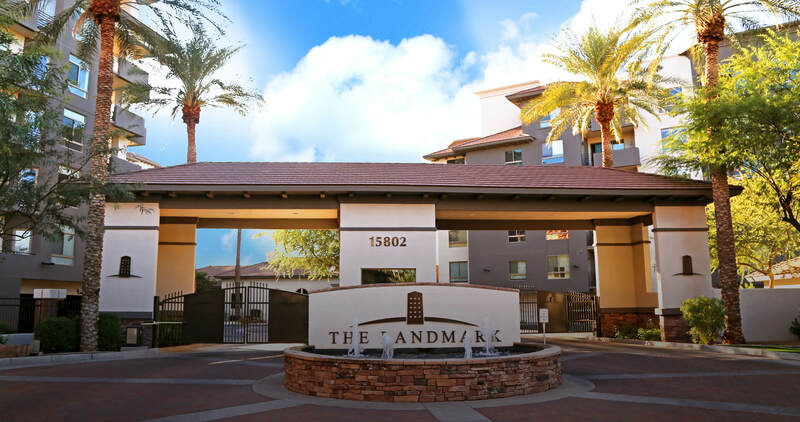 With all of this, The Landmark is among the best luxury condos Kierland has to offer. Entering The Landmark through the hosted privacy gate is like coming home to your own personal resort. The world can feel as close, or far as you want. Swim a few laps or enjoy a dip with your family in the heated pool. Work up a sweat in one of the two well-equipped fitness centers. Escape to your favorite chair with a great book, or stroll over to Scottsdale Quarter for dinner and a glass of wine. When you live in one of the best luxury condos in Scottsdale, the options for enriching, mind, body, and spirit are practically limitless. 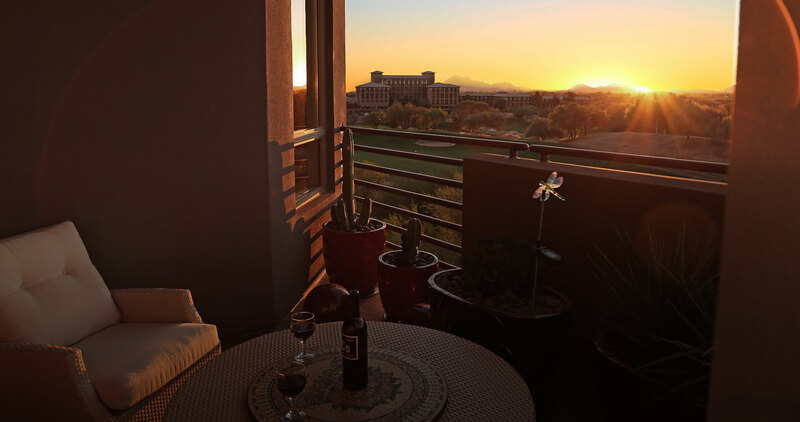 Here in one of the top-rated condos in Scottsdale, nestled against the fairways of the Westin Kierland Resort, you have a complete support system responsive to the rhythms of your life. For help of any kind, rely on The Landmark’s full-time concierge and porter team for assistance. They’re at your beck and call, whether you’re enjoying the Scottsdale condo lifestyle or away traveling, counting on things at home being looked after. Lock and leave. And did we mention the free high-speed internet provided to every unit here? 100Mbps download. Stream movies. Upload your next YouTube masterpiece. Google yourself silly. It’s all here, making The Landmark one of the top-rated condos in Scottsdale.